This top of the range tool presetting machine has been developed as a more cost effective equivalent to competitor tool inspection machines. Completely free-standing on its own integral base; Amon Ra-TW features ground granite and stainless steel construction. All movements are servo drived guaranteeing ultimate precision. The single high-definition screen is linked to two outstanding optical cameras with digital zoom capabilities. 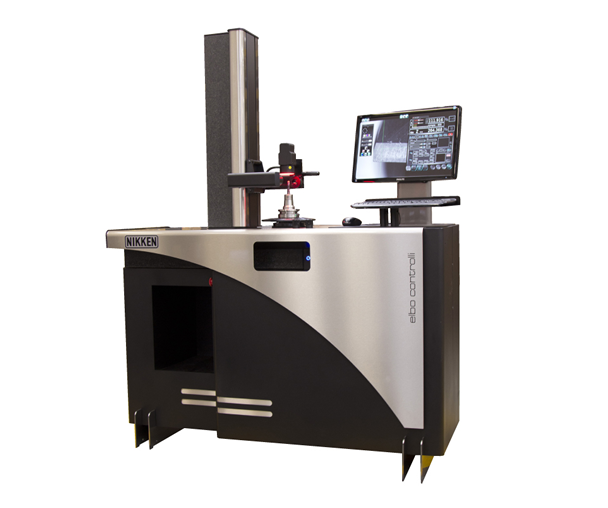 The system employs industrial PC architecture providing operational and functional simplicity that is simple to learn and even incorporates additional capabilities focussed specifically on tool geometry. The patented precision spindle system is fully interchangeable and utilises a one piece cartridge - eliminating the need for adaptors and the errors associated with their use. Incorporated within the spindle is an innovative universal pneumatic clamping system. Integrated within the innovative software package is a complete tool management system and network port. Working via your DNC system this can convert measured tool data into CNC code for direct loading into your machine controller and associated tool offset pages. Also included with the system as standard is full WI-FI connectivity. Further capabilities, on both cameras, include the ability to import and export .dxf CAD profiles for detailed checking and comparison on the full high-definition 23” screen. 23" Full HD Widescreen Monitor (on the column support).